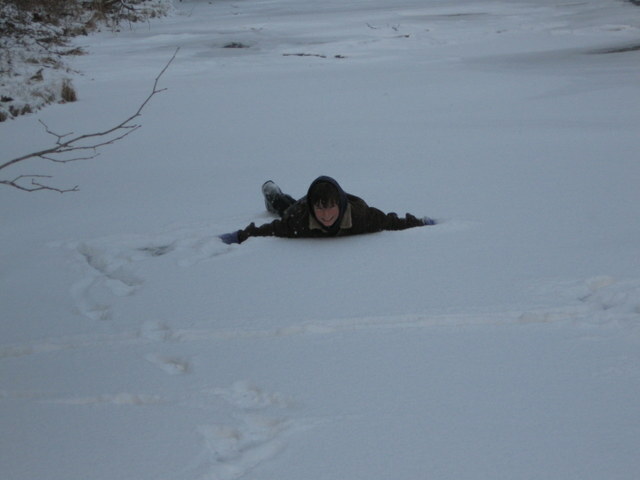 the flat rock creek and its meanderings define our place. when we were looking for a farm to call our own back in 1998, we had very little money to invest and a few “must haves”. knowing a fancy farm house was out of our reach, we desired simply a clean water source and some sort of barn. in our original 60 acres we found all of that and more: an old spring, an already dug well, a barn with the wear and tear of a rich history, two small outbuildings, and a 2 room shack built originally to house the “in laws” of the last generation to call this place home. this story is not of these buildings, that is another great tale to tell, a later one, now my thoughts are on the flat rock. 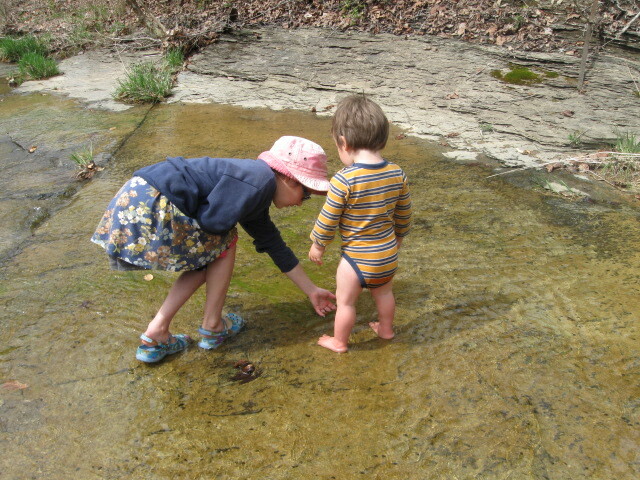 my kids were raised in this creek: their earliest life lessons learned in its nooks and crannies. geology and biology, drought and flood, wildflowers and ferns, erosion and gravity, ebb and flow, fishing, swimming, paddling, and searching for gold: it’s all there. the problem with the creek, and how could there be a problem you ask, is not with the creek at all, it’s with me. 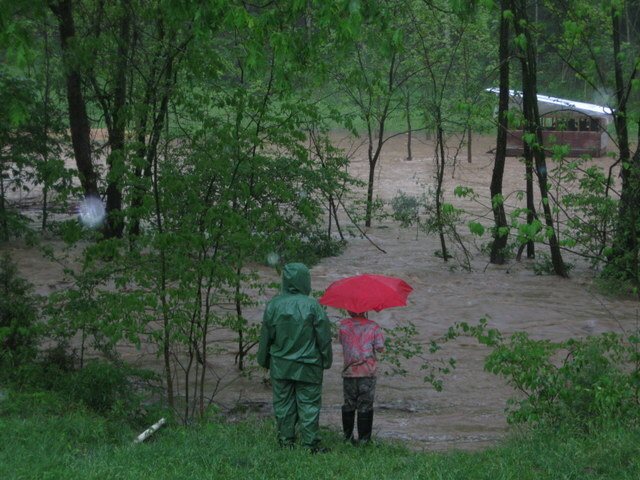 you see creek time is unpredictable, it can happen at any time and last indefinitely. the lure of the flow of water is always there. 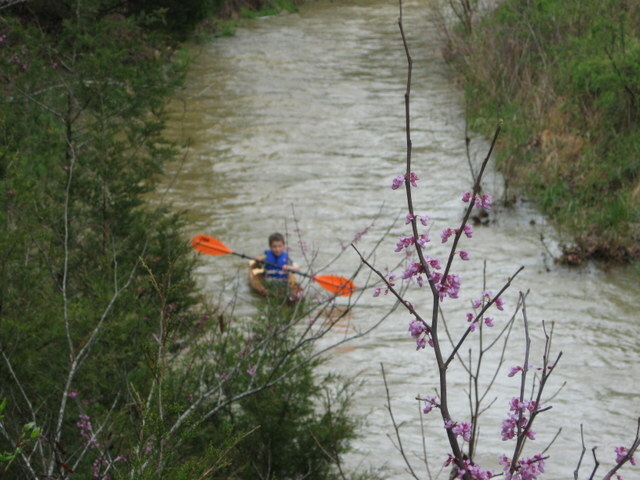 sasha and madeline can head to the shores solo now, the hours upon hours of creek walking with my older two has passed. alas, this spring, it became clear, it’s william’s turn. (i have to admit, i fogot some of these quirky toddler things, with a 10 year old and a 13 year old, those years were past.) the minute the house door opens, dawn or dusk, he grabs at the nearest hand and begs, pleads, screams if necessary, to head down the hill to his beloved. my life is busy, the demands on me great, for me to let go of all there is to do and simply explore is not easy. the joys however of that time with william, and most often the older two join us, are so great. to follow in the path of an almost 2 year old and walk the creek is one of life’s greatest pleasures. this past week i made a promise to myself: i am going to do this each and every day. i will leave behind the call of the laundry and the dishes and the dust, i will ignore the pleas of the greenhouse plants, the garden beds and the livestock, i will forget the computer and the to do lists and simply head on with my babes to the creek. together we can giggle with the initial shiver as our bare feet hit the still chilly waters. 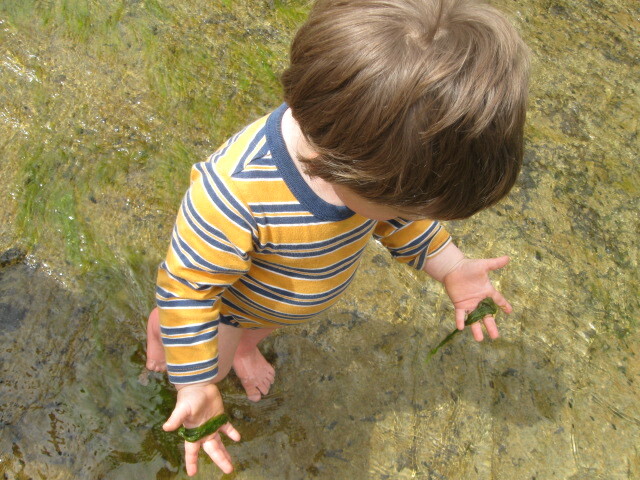 we can delight in the explosion of happiness as william first feels the algae or snails beneath his small feet. we will witness the exuberance as he feels water flowing betwen his fingers, these are treasured moments and for me, if i can really do this, i discover my own lessons of the creek. the flow of water is restorative. so friends, let’s do it, let’s share a bit of each day just lingering in the now, follow your toddler, lie still in the grass, take a break from your own must dos and have tos and just enjoy. life is good. 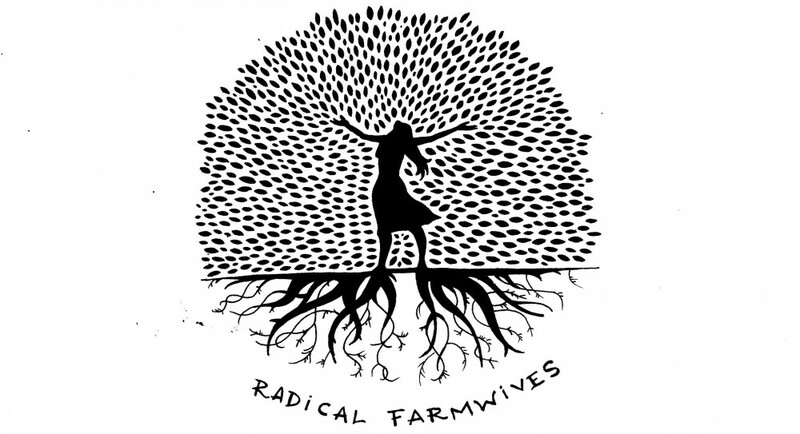 This entry was posted in robin's posts and tagged creek, life learning, raising children by robin. Bookmark the permalink. Love your writings, Robin. It’s so nice of you to share your family! I can’t believe how old the *old* ones are! And william is cute as a button! thank you so much, i am glad you are enjoying. Beautiful! 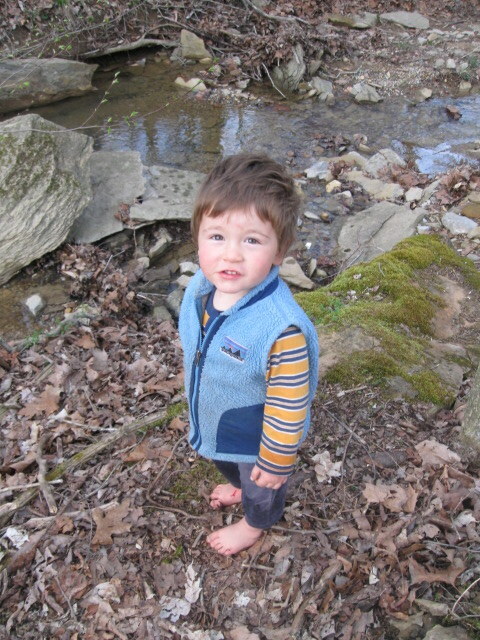 Clark (29 months) has recently discovered the lure of the woods and the creek, now that it is warm enough and little Campbell (almost 4 months) is big enough to nap predictably or come with us we need to remember this resolution, before summer’s weeds impede and the branches dry up. Thanks for sharing this. Love to you and your family! and love to you all too, one of these days we can all creek walk together! Our creek, also, is a critical part of our lives. Unlike you we did not manage to get a piece of land with water, so having that creek down the hill is as close as we can get. In the dog days of summer, we get up early to get our work done in the few cool enough hours, then head to the creek for the rest of the day!